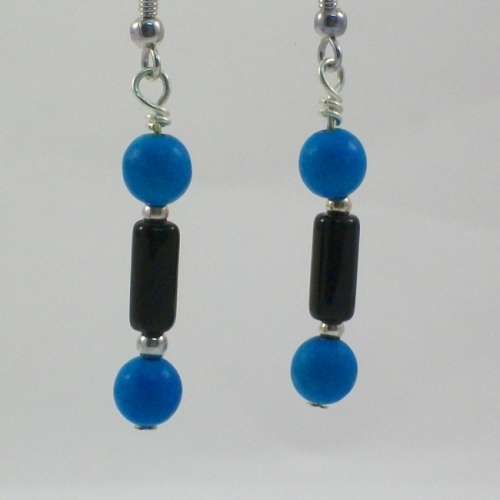 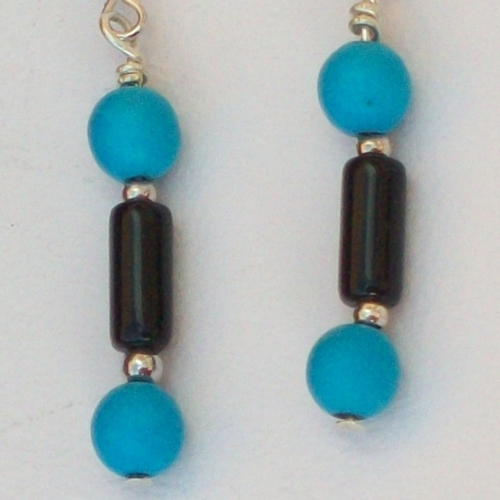 Vivid egyptian inspired blue turquoise earrings with black agate tubes and small spacer beads. 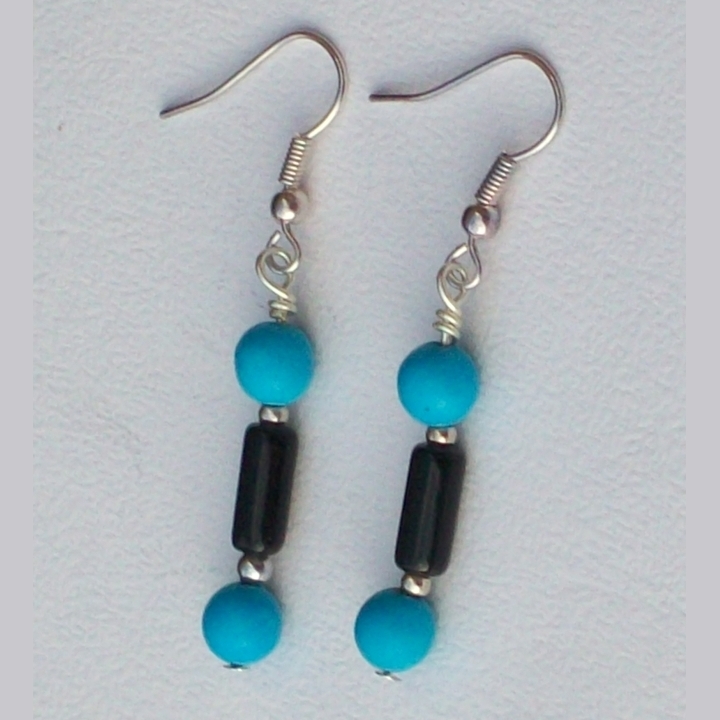 Hook earring wires with a wire spiral and bead for detail. 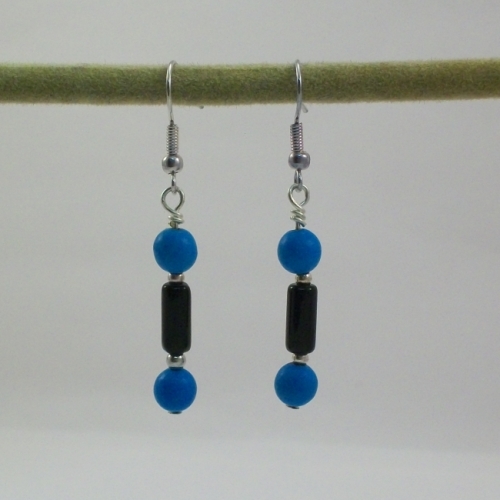 Silver plated and nickel free earrings.